Millions of people in Yemen are on the verge of starvation. 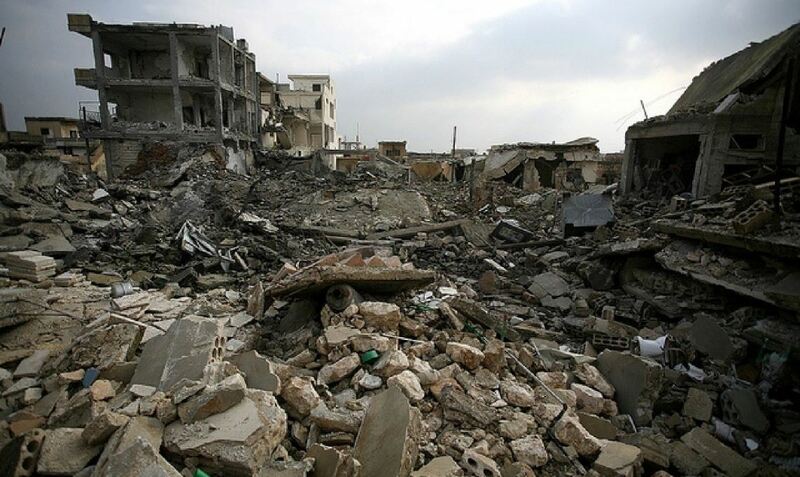 Deadly clashes have left tens of thousand’s dead, and even more displaced. A famine described as the worst the world has seen in 100 years, looms over a country torn apart by war. Over 80% of the population are struggling to find enough food and water to survive each day. More than 600 medical facilities have closed meaning there is little or no treatment available for those who have injuries or are malnourished. The situation is incredibly bleak and without essential aid, it will only get worse. Please support One Nation to aid our brothers and sisters who have suffered in a way most can only imagine. Donate today and help us provide essential food packs, vital water supplies and critical medical care. Everything we do at One Nation is based on the value that all life is precious and to be protected. 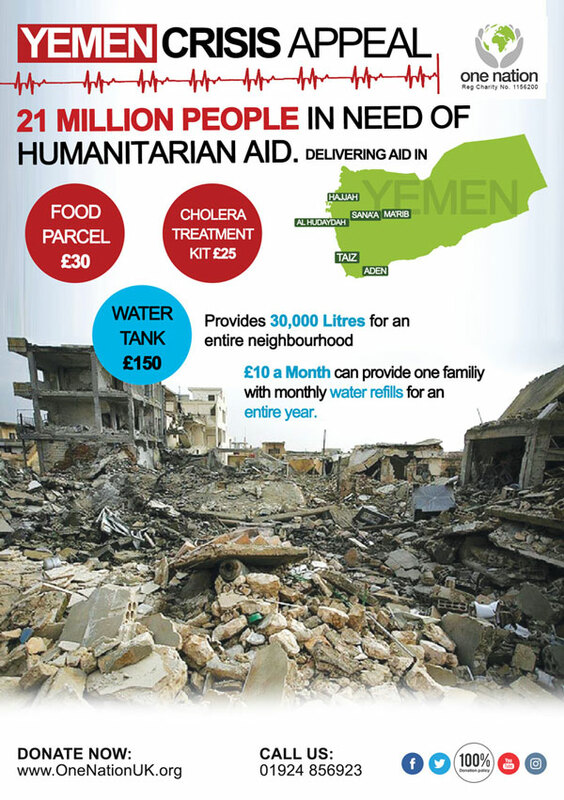 One Nation aims to deliver aid to the poor and needy in Yemen. With your continued support we can make a huge difference. Please Donate your Zakah, Sadaqah and Lillah today.